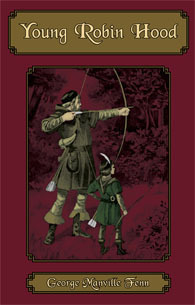 In the days of Robin Hood, a young boy named Robin is journeying through Sherwood Forest when suddenly the company is surrounded by men in green. Deserted in the commotion by an unfaithful servant, Robin finds himself alone in the forest. After a miserable night, Robin is found by Little John. Robin is treated kindly by Robin Hood, Maid Marian and the Merry Men, but how long must he wait for his father, the Sheriff of Nottingham, to come to take him home?